← DID YOU KNOW by Kenny Offenther and Stan McCormack. President Kudro Speaks About the TOC (Tournament of Champions) !! 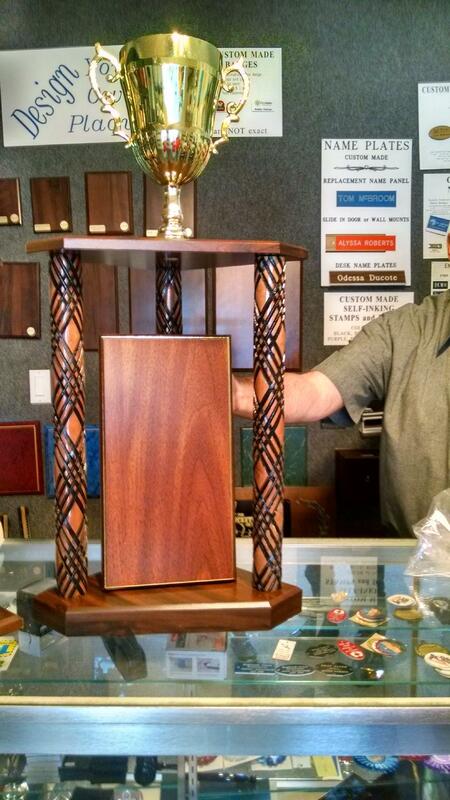 Above is the new TOC trophy for a new location. Last year when the full board approved the 2017-2018 schedule the TOC was moved more to the middle of the State from the western most location of Clearwater. This was a tough decision by the board as it had been in Clearwater since its inception. In the early years of Shuffleboard this and the St. Pete Shuffleboard Club were the hub of all shuffleboard, so it made sense to have the TOC in this area. As true in many things, the demographics has changed where the best opportunity to reach the most tournament players, was to move it to the center of the State. So as a shuffler, what do you think? Even if you haven’t qualified for the FSA Masters, and still had a fun filled year, wouldn’t it be GREAT to have a chance to win the Men’s or Ladies TOC? You too then would be forever a part of the Shuffleboard history in thevHall of Fame having your name etched on the trophy. Remember it can happen but not if you don’t show up and participate. To see if you are eligible, go to the FSA website and click on Shuffler Data and the TOC eligibility list is there to verify your name for eligibity. So I encourage all you to show up and join our Shuffleboard Family and let’s all end this Shuffleboard season on a high note. Thank you all for all your past participation, your exceeding our goals in the publication and promotion of Shuffleboard and showing your support as FSA President. For those leaving shortly, PLEASE have a safe trip home and I am looking forward to seeing you all again next year. 1 Response to President Kudro Speaks About the TOC (Tournament of Champions) ! !